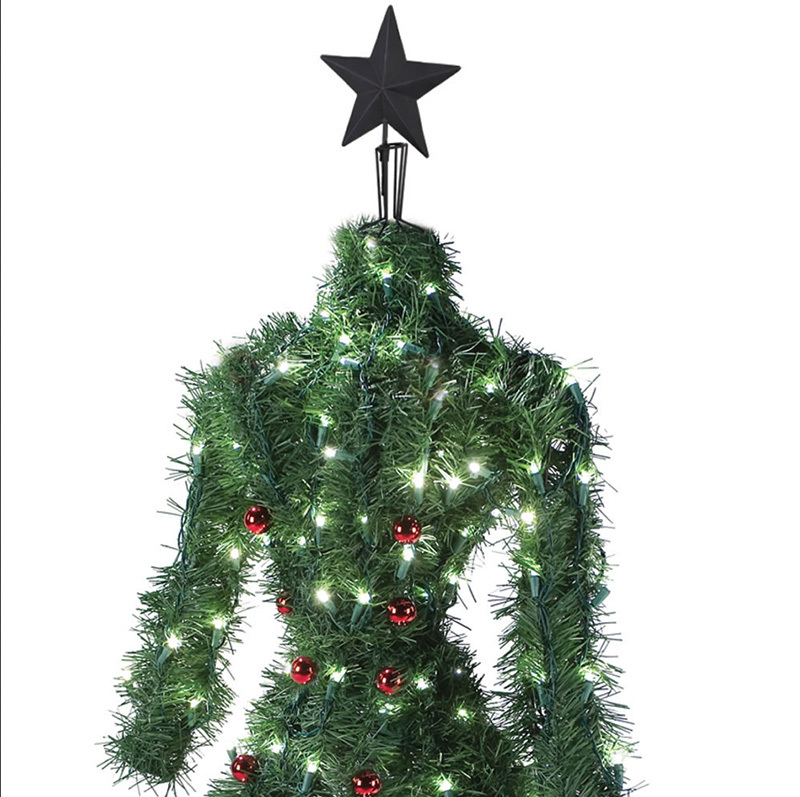 If It's Hip, It's Here (Archives): The Most Fashionable Christmas Tree For A Couture Christmas. The Most Fashionable Christmas Tree For A Couture Christmas. 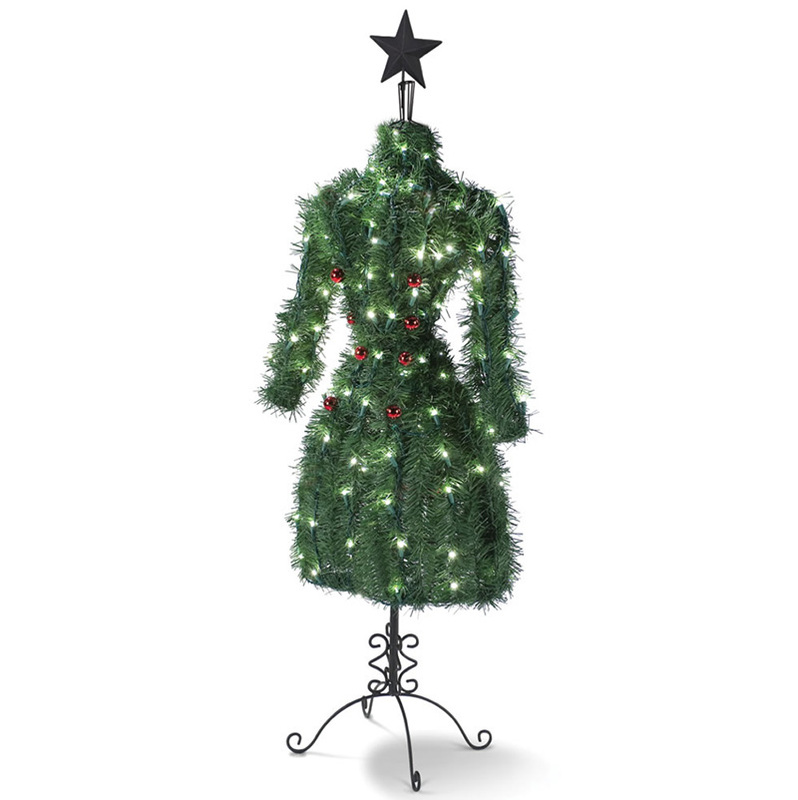 This is the prelit 5' Christmas tree designed for those who have an interest in fashion. 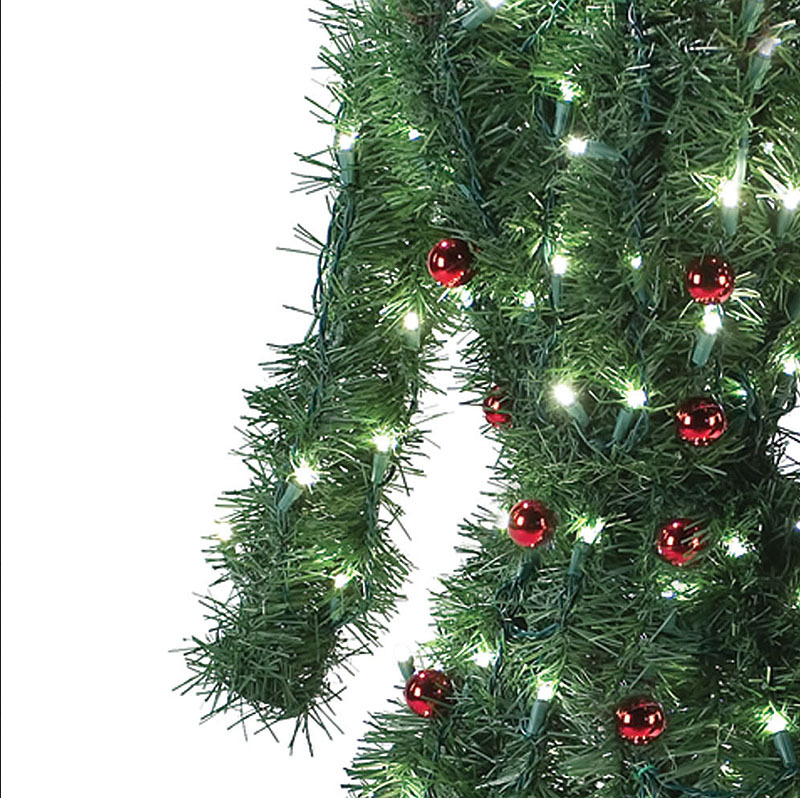 Exclusively from Hammacher Schlemmer (but sadly, sold out already), this tree eschews the geometric lines of typical conifers, taking its shape instead from a classic couturier's dress form. The high collar, long sleeves, wasp waist, and hoop skirt are clad with faux pine needles, creating a topiary effect. The tree is pre-strung with 150 warm white LEDs that enhance without overpowering its silhouette and the dress comes accessorized with eight removable iridescent red globe ornaments. Topped with a matte-finish metal star, the sturdy metal frame rests atop a filigreed base, while the dress' 15" hem leaves ample clearance for gifts. Sorry, but this item is no longer available from Hammacher Schlemmer.